History always finds a way of repeating itself. However, very rarely do mainstream news organizations revisit past television appearances in order to determine the ability of a guest or political figure to accurately predict future events. This can be used as evidence in order to educate others and to prevent reoccurring mistakes in the political or monetary policy arena. Fortunately, in the technologically advanced society we live, it is very easy to find articles or YouTube videos that clearly state differing opinions and predictions leading up to defining events. A great example, that can be used to contrast two schools of economic thought, is the YouTube video embedded below. This video shares a common name with the title of this blog post and displays the conjectures of several prominent economic figures from differing schools of economic theory. The stark contrast between Keynesian and Austrian economists leading up to the most recent recession is blatantly evident after viewing the 10 minute video. As you watch the video, keep in mind that those who have had their statements and predictions proven wrong in this YouTube video are still are in charge our monetary policy today. 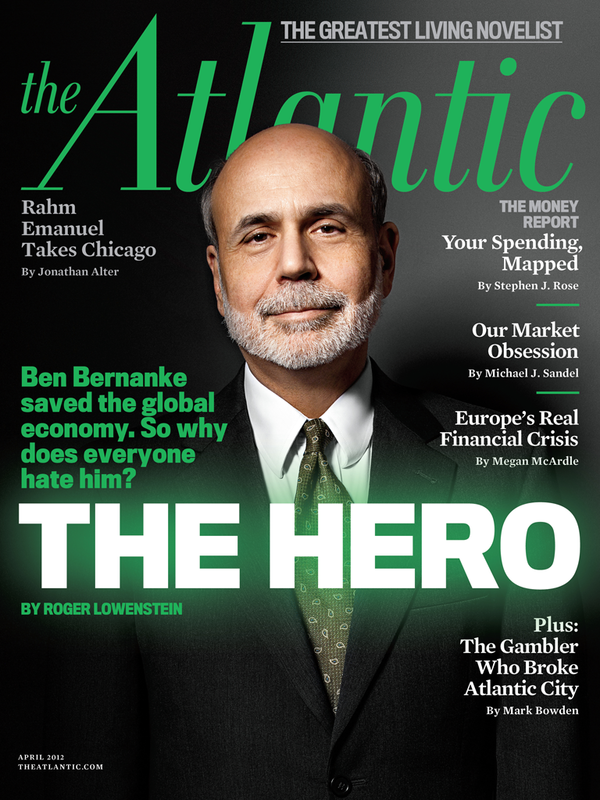 How is Ben Bernanke still Chairman of the Federal Reserve? After viewing that video, how the heck could anyone take him seriously? Austrians predicted the collapse of the housing bubble and Keynesians didn’t even see it coming or acknowledge that their policies had enabled the bubble to form. Fast forward to current events and the growing upward inflationary forces, which are captured in February’s analysis provided by the Labor Department. As per the press release, the consumer-price index rose 0.4% in February, which was double the amount of increase in January. Bloomberg has an informative breakdown of the factors which contributed to cost of living rising in the month of February to the highest it has been in 10 months. Already, it appears that his prediction of manageable inflation is a pipe dream. The rising price of gasoline has not even begun to effect the price of goods or services such as groceries, clothing, and commercial transportation. More expensive gasoline will drive the cost of all goods and services higher as we enter the spring and summer months. The corporate/government media calls him a Hero? A wise man once said that the definition of insanity is doing the same thing over and over again and expecting different results. According to this statement, a majority of the American public, the mainstream media, the political elite, Keynesian economists, and our education institutions are all completely lacking any semblance of sanity.